Our caregivers can help you pursue your day-to-day personal tasks. 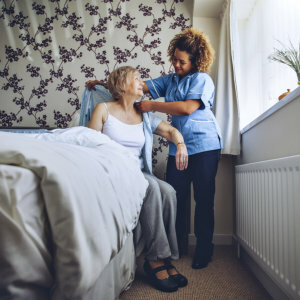 Because of mobility limitations, an elderly or disabled person may have difficulties in performing their daily living routine such as personal hygiene. However, negligence of personal hygiene will lead to the deterioration of health. As such, it is important that these individuals will receive their much-needed assistance in their day-to-day life so they can continue living life comfortably and with quality. Miracles Home Care has a team of qualified caregivers who are committed to providing personal hygiene assistance to our patients. We have set up a wide ethical framework to ensure that the sense of dignity and privacy of our patients will remain well-respected.